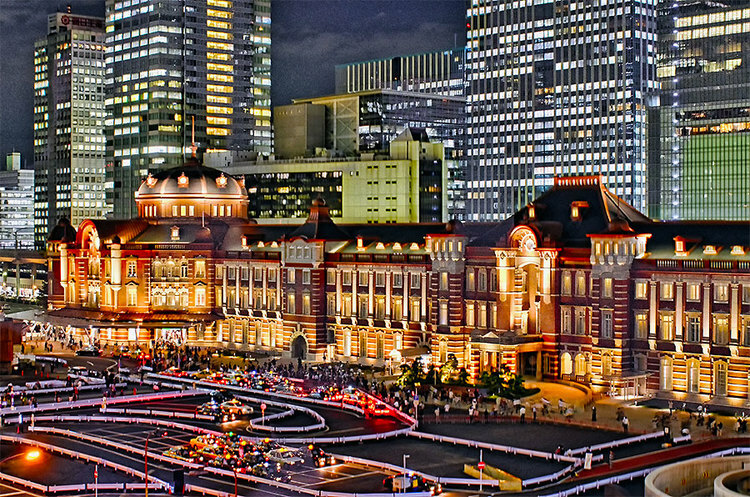 Served by bullet trains, Tokyo Station is the main intercity rail terminal in Tokyo. It is the busiest station in Japan in terms of the number of trains per day with over 3,000 coming and going. The station underwent an extensive renovation, and was renovated to look the same as the original, with a distinguishing dome roof in 2012. 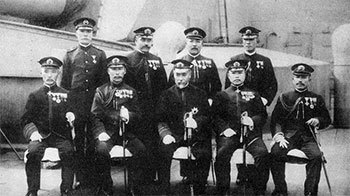 During the Meiji Restoration which ended the Tokugawa Shogunate Era, the new government built a station in Marunouchi, the business center of the city. The station was constructed in between two existing railway terminals: Shimbashi, located south of the Palace, and playing a key role as a terminal toward south western Japan and, Ueno, located north of Tokyo, acting as a critical terminal toward the northern part of Japan. 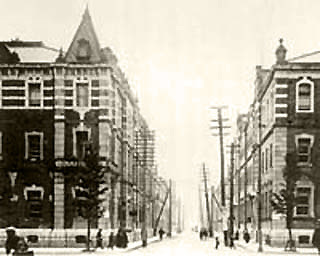 Construction of Tokyo Station was delayed due to the outbreak of the First Sino-Japanese War and the Russo-Japanese War, but finally commenced in 1908. 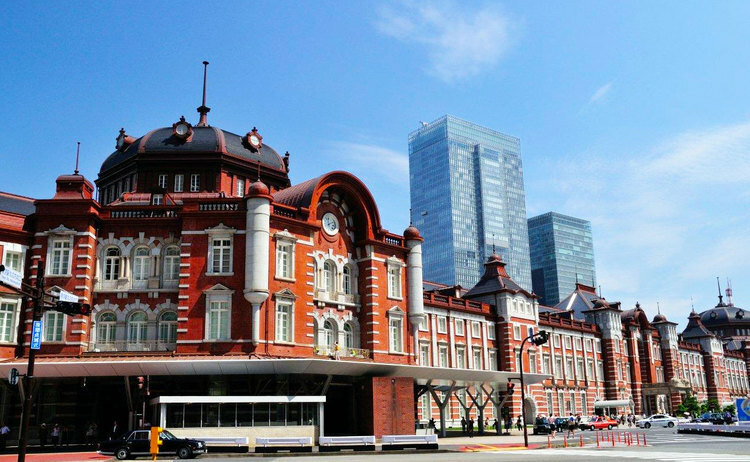 The three-storied station building was designed by architect Tatsuno Kingo, who also designed the Bank of Japan building, as a celebration of Japan’s costly victory in the Russo-Japanese War. The three-storied building with its distinguishing dome roofs and walls covered by bricks, is often rumored to be fashioned after the Amsterdam Central Railway Station in the Netherlands, although there is little evidence to support the opinion. 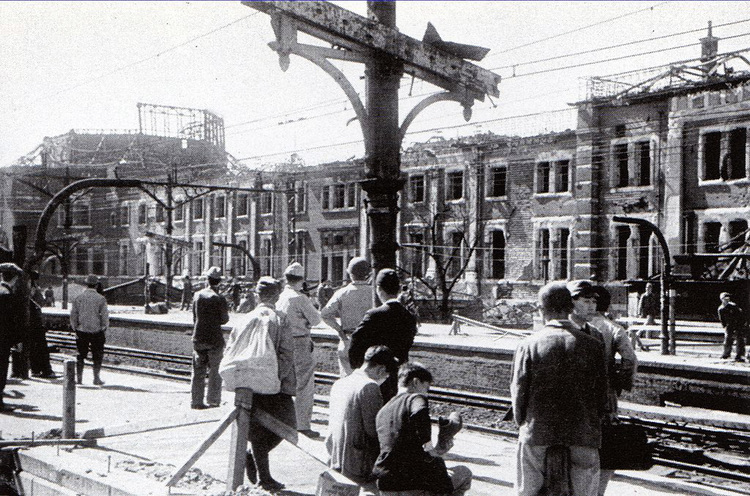 Much of the Station including the impressive rooftop domes were destroyed in the firebombing in May 1945. The Station was quickly rebuilt within the year, but simple angular roofs were built in place of the domes, and the restored building was only two-stories tall instead of three. The bombing of Tokyo during WWII damaged the Station building, shattering the domes which originally adorned the rooftops of the building. Angular rooftops intended to be temporary replaced the domes, but remained until the recent renovations. After an extensive five year development completed in October 2012, the Station building was renovated to look like the original one.